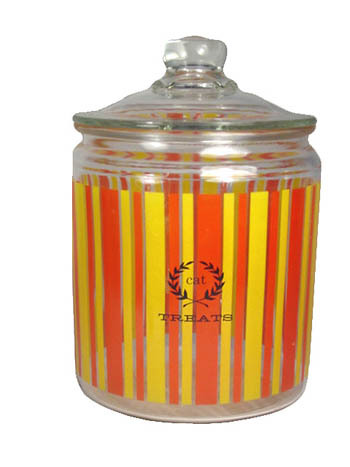 If virtue brings its own rewards, these striped glass jars with laurel wreath are the place to stash them. 5-1/2″ tall and 6-1/2″ across. Accommodates up to 2 lbs. of our delicious cat treats. Choose red/yellow or green yellow.